On Thursday, iOS devices gained yet one more way to manage your financial details, thanks to the release of an official client for Google's Wallet service. Available as a free download from the App Store, the app clocks in at a little over 8MB, and requires iOS 6.0 or above. Unfortunately, it doesn't come as a universal binary, which means that, if you want to access Wallet on an iPad, you are forced to either use its iPhone emulator or rely on the service's Web-based interface. Although Google Wallet has been available on the Web since 2011, a client for iOS has been a long time coming, due in no small part to the fact that the search giant originally intended to only provide the service through devices capable of supporting near-field communication (NFC) technologies--technologies that Apple has, so far, refused to add to any of its mobile devices. It seems that Google has finally given up on waiting any longer for the folks in Cupertino to change their mind, and decided to release the app anyway. Without an NFC chip, however, the software is missing one of its key features on Android devices: the ability to use your phone in lieu of cash or credit cards to pay for your purchases at participating merchants. 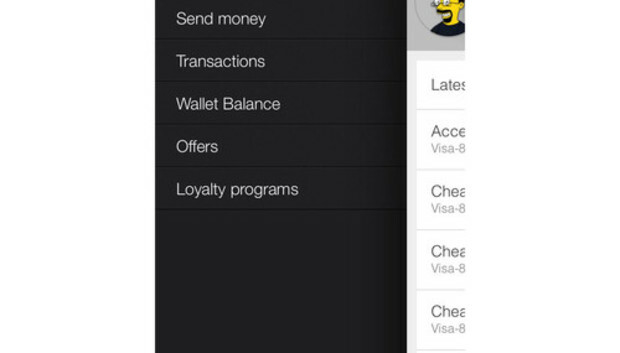 Still, Wallet has plenty to offer even if you won't be able to buy your groceries by waving your phone at the cashier. True to its name, Wallet is a... well, wallet in which you can store all your credit cards, and even track the loyalty programs in which you participate. The ability to save credit card numbers is of limited utility if you install the app on your phone, since it's probably quicker to just grab a card out of your wallet. Loyalty programs, however, are a different story. If you're tired of carrying those little keychain tags and cards everywhere only to find out that you've left the one you actually need at home, the Wallet app pretty much eliminates that problem completely. All you need to do is take a few minutes to scan the barcodes on your loyalty cards using your phone's camera, and they will be safely stored right inside Wallet--which, unlikely its real-life counterpart, won't swell and weigh you down with every little piece of plastic you add to it. To make things even better, the app can provide a digital replica of the barcodes that can be scanned by merchants without the need for manual input or specialized equipment. Even more useful is the fact that you can actually send money to your contacts--provided, that is, that they also have a Google Wallet account. This process requires providing a rather significant number of personal details (including part of your social security number) due to financial regulations, but it could come in handy for things like quickly pooling money to pay for a dinner, or splitting the cost of a gift. Another interesting feature of the Wallet app is its ability to show you special offers from local merchants. By using your location, the app can advise you of any deals that are available at nearby stores, giving you a chance to save some money--and, presumably, giving Google a chance to charge those store for the privilege of pitching their products to you. The availability of special offers depends, of course, on whether any participating merchants exist in your area, which means that its utility may be limited, particularly considering that the Wallet service itself has, so far, enjoyed limited popularity. Notably, the only way to turn off this feature is to actually pop into the Settings app and prevent the Wallet client from accessing Location Services. Google has built a strong set of security features around the Wallet app. Access to the software is protected by a PIN number, and--because you're syncing against your online Google account--you can disable the app on a stolen device directly from the Web. Still, I would hesitate to use it as a central repository for all my credit cards. Without support for instant point-of-sale payments, doing so strikes me as just one more way to potentially expose my financial detail to an attacker without getting any significant benefit in return. And, speaking of point-of-sale purchases, it's a little odd that the Google simply decided to give up on this functionality. After all, not all Android phones support NFC, and there are viable alternatives, such as the barcodes that Starbucks uses to process payments through its iPhone app. As a result, Wallet's only really useful feature is its ability to store your loyalty programs and synchronize them across multiple devices (and the Web). This is not a small thing, mind you, particularly if you consider that the process of registering all your cards inside the app is simple and very well designed. But it's a far cry from the all-encompassing payment solution that Google Wallet was supposed to be, which seems to be as elusive as ever.